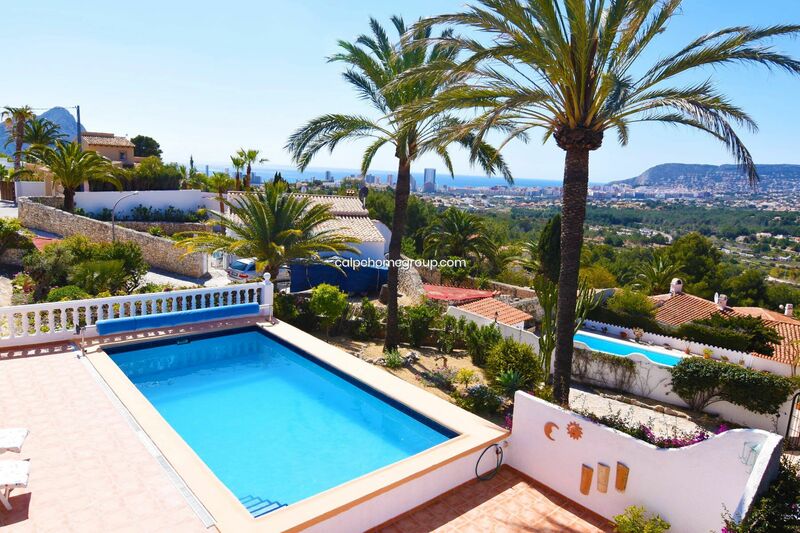 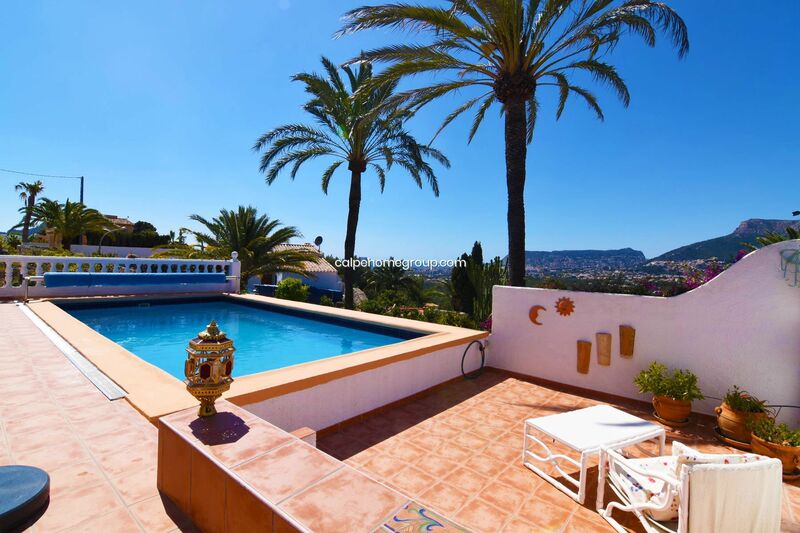 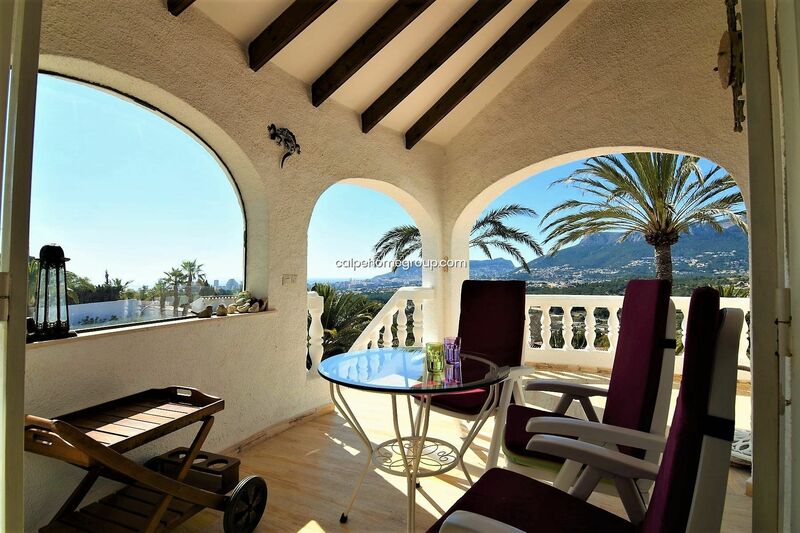 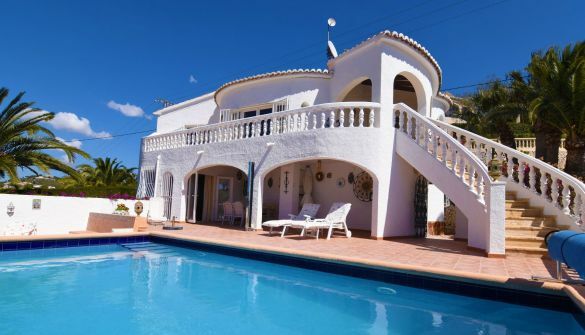 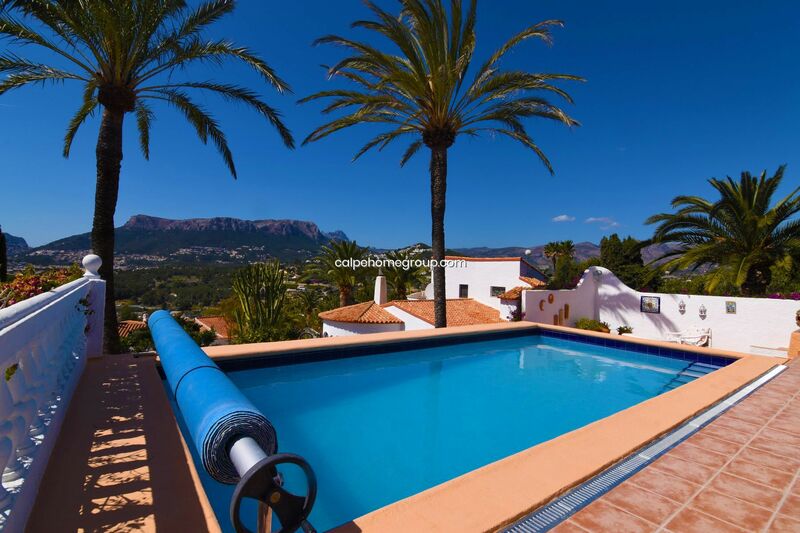 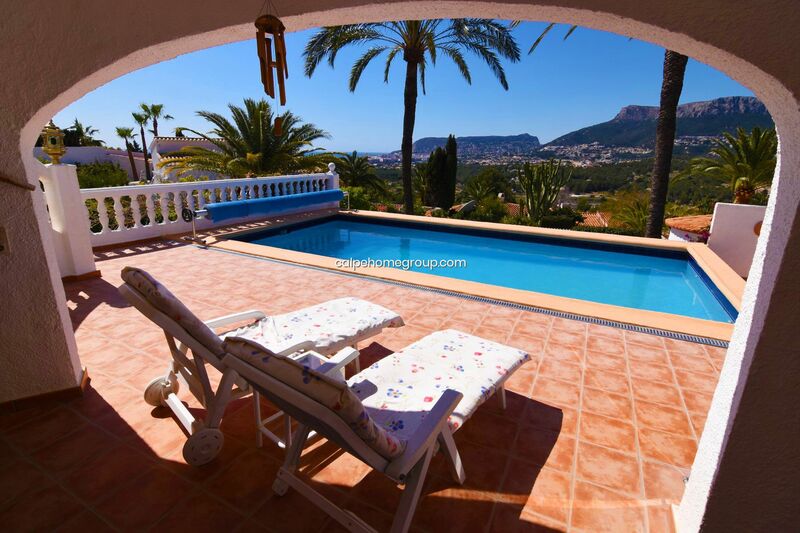 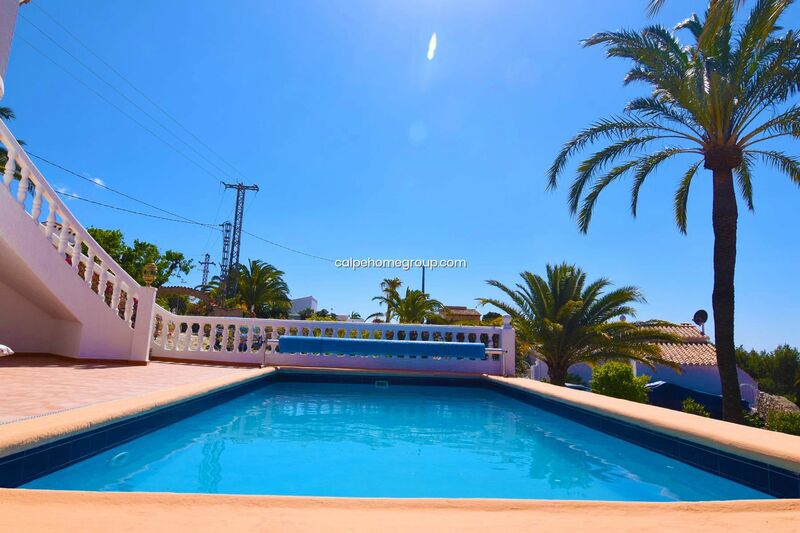 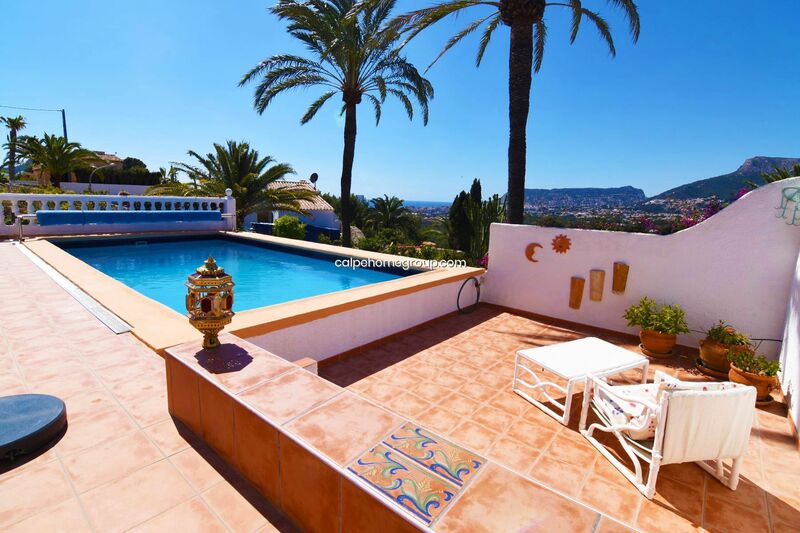 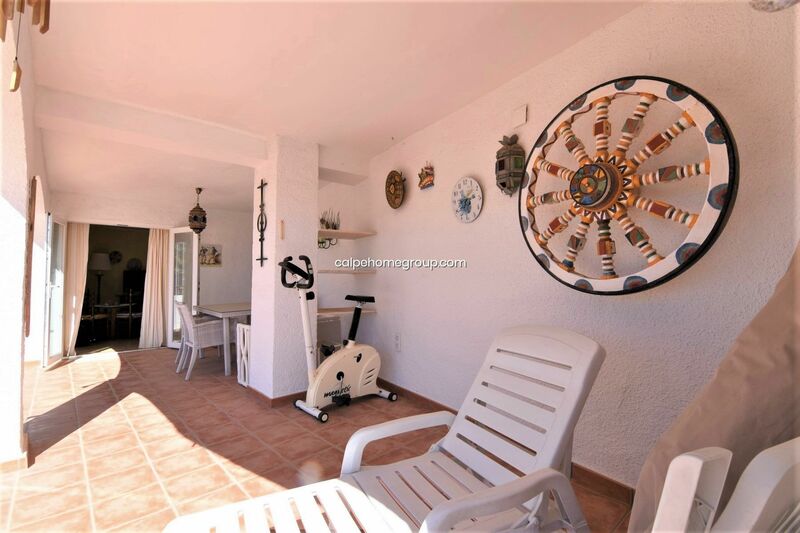 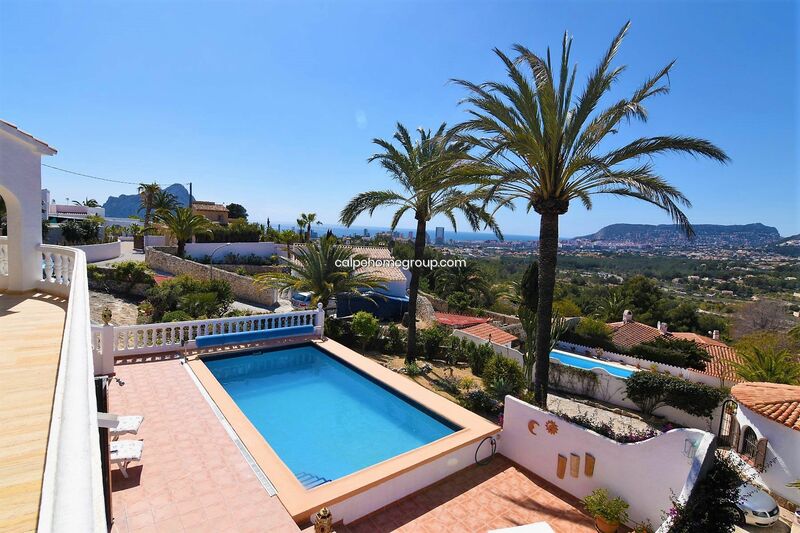 A detached 3 bedroom villa in Calpe, with private pool and panoramic sea views, just 3 km distance to the beach. 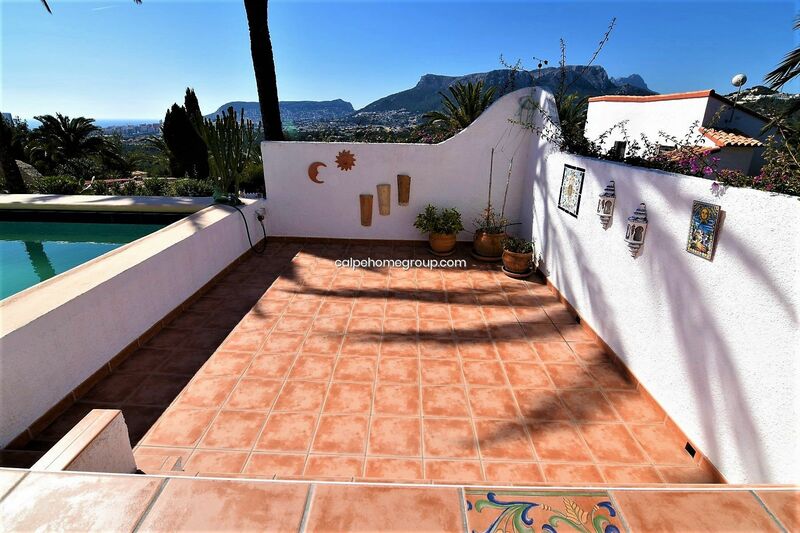 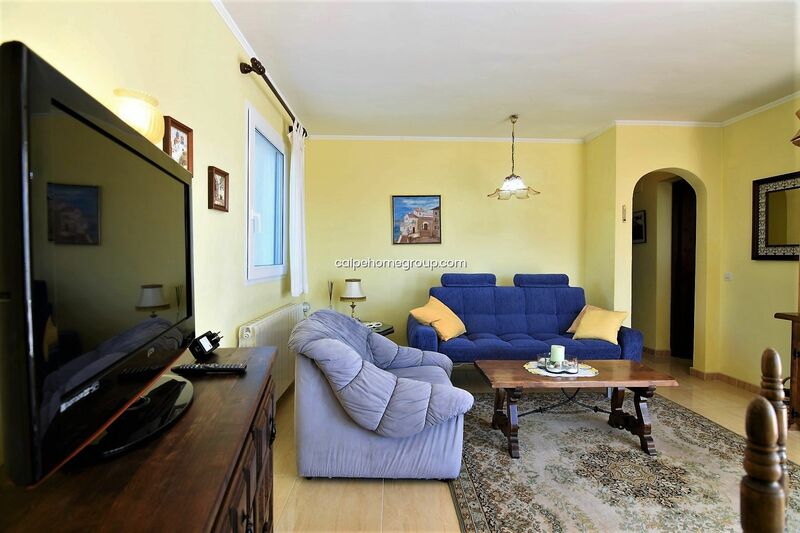 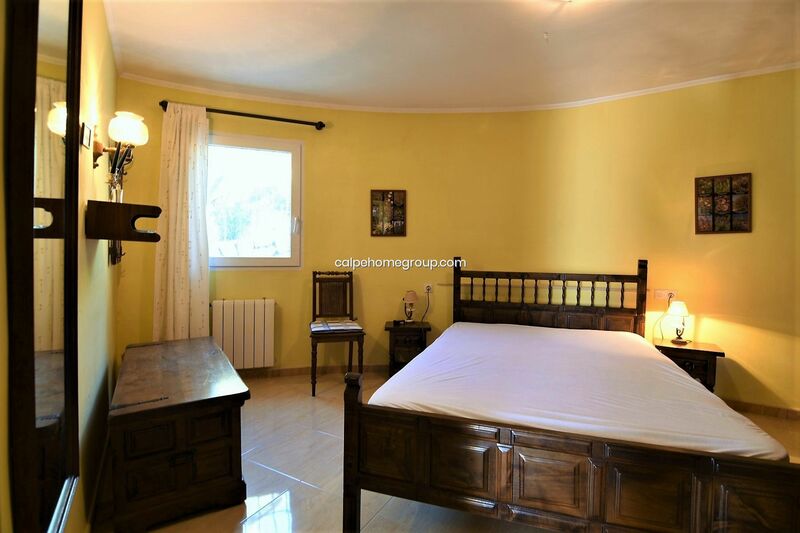 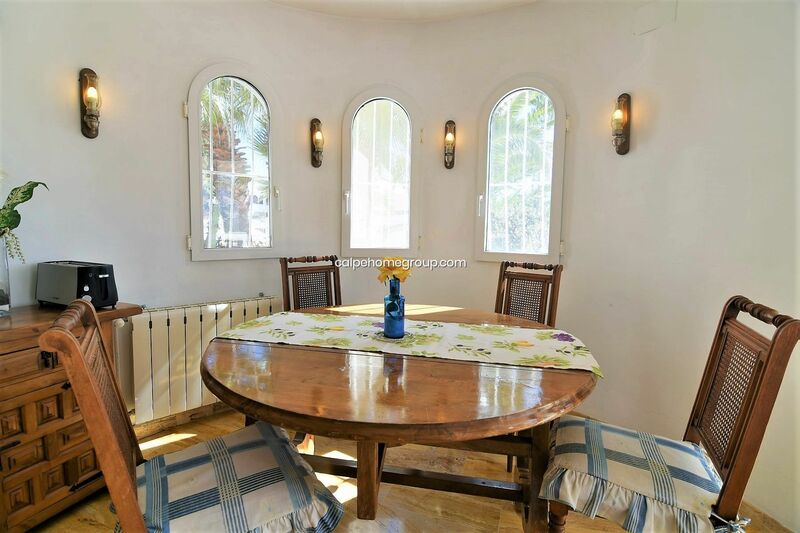 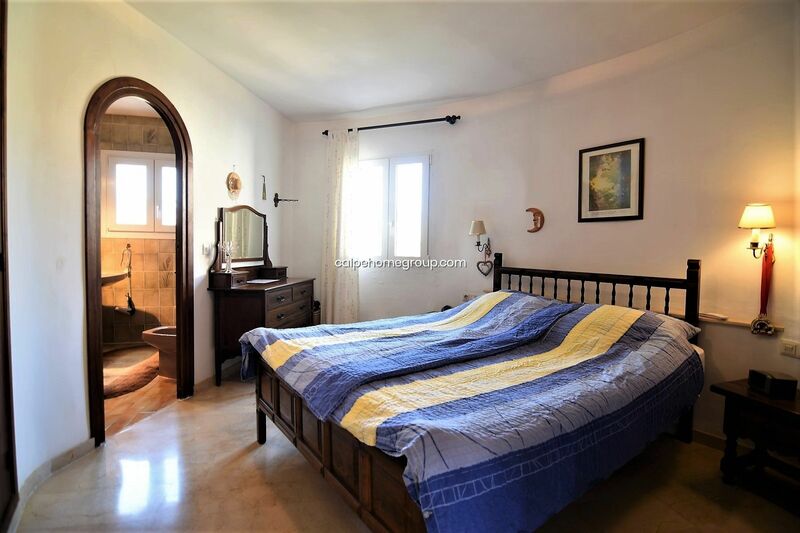 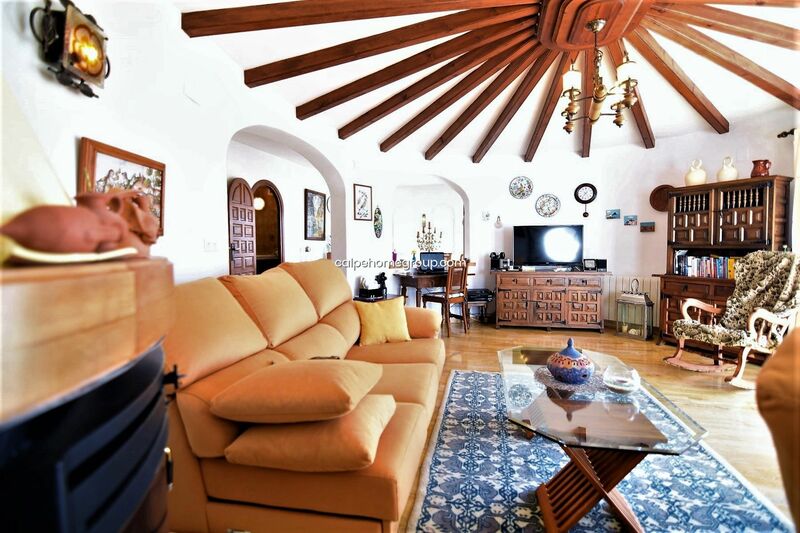 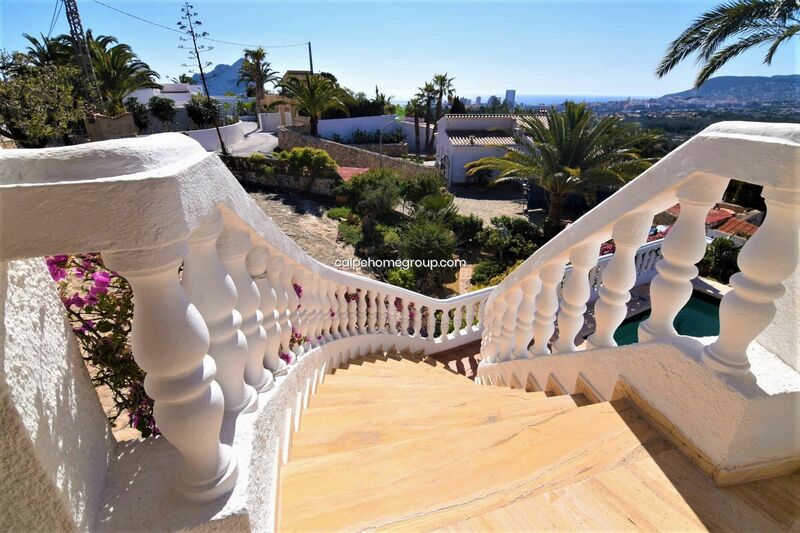 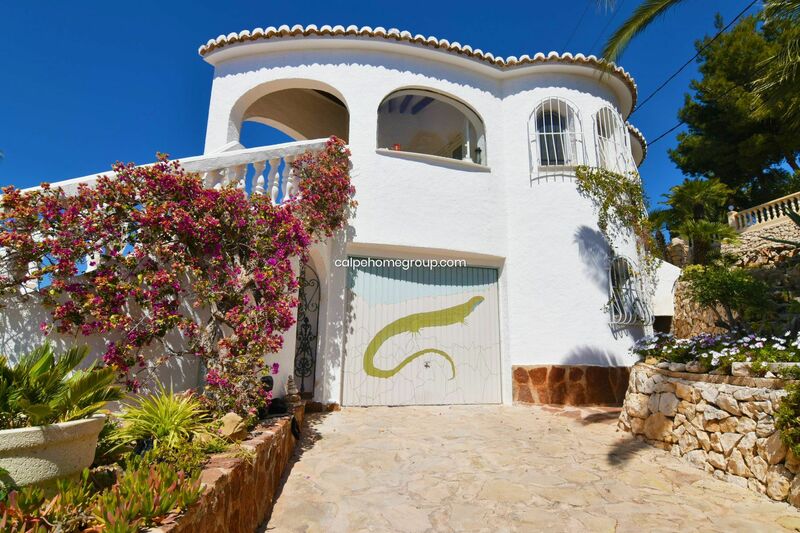 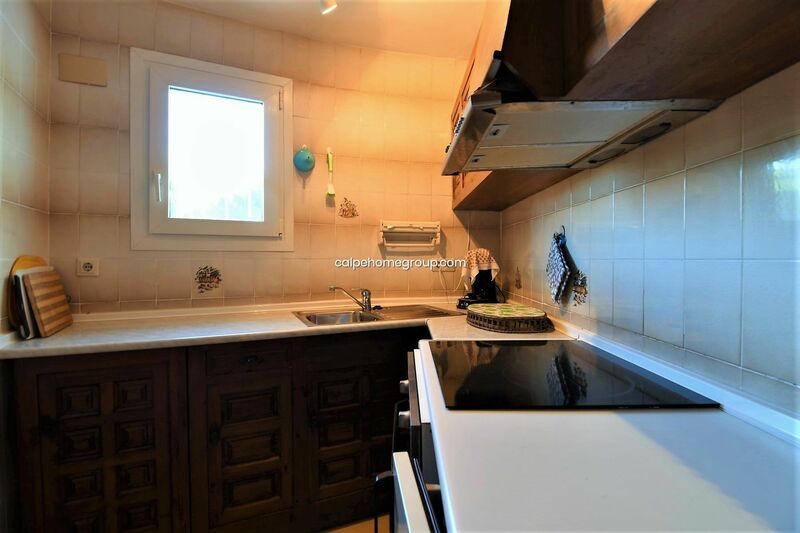 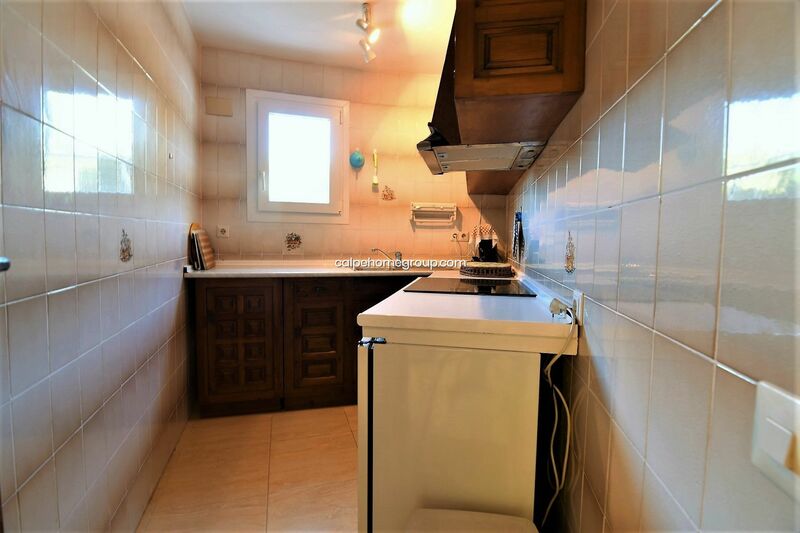 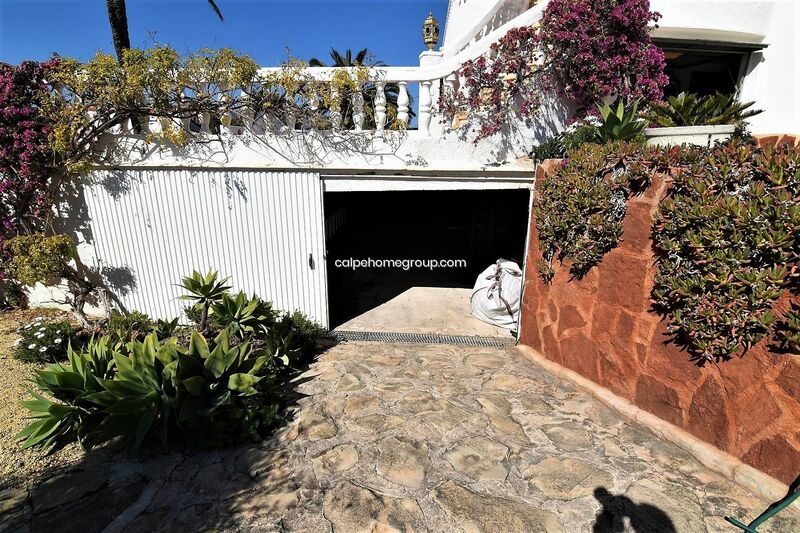 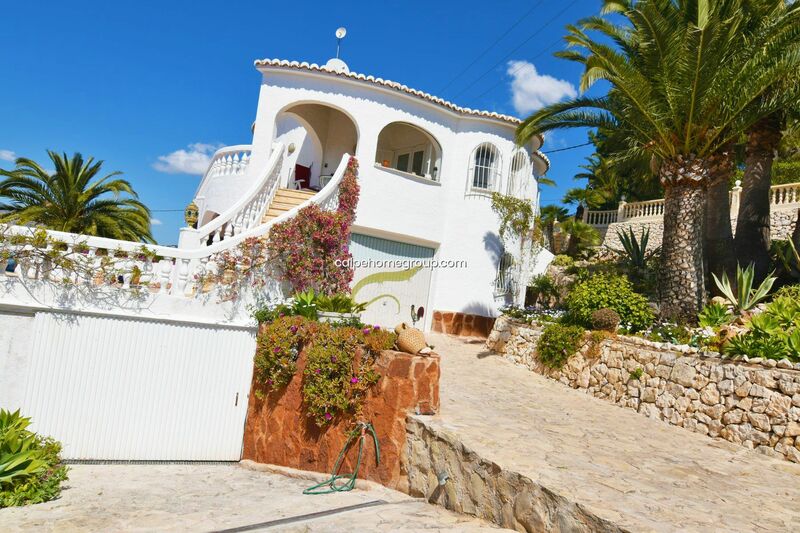 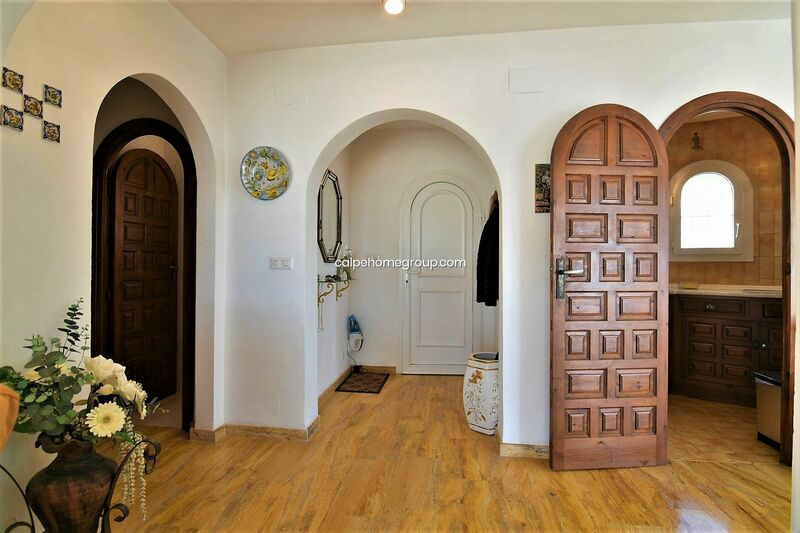 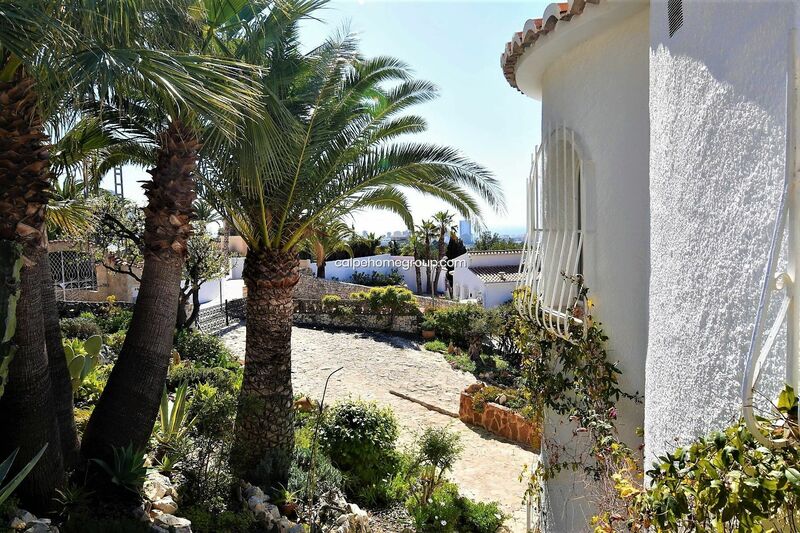 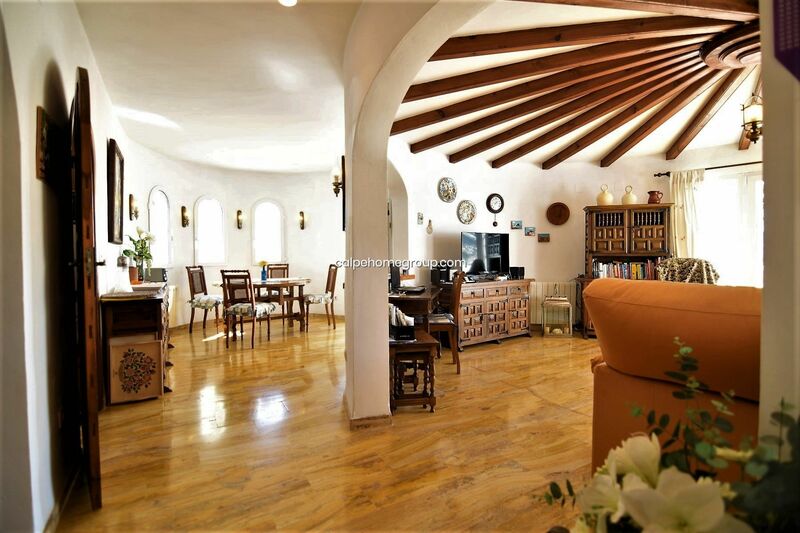 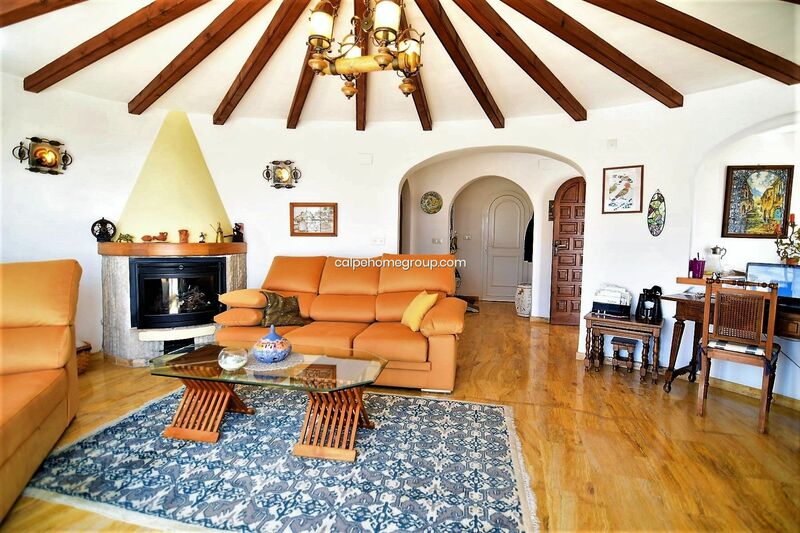 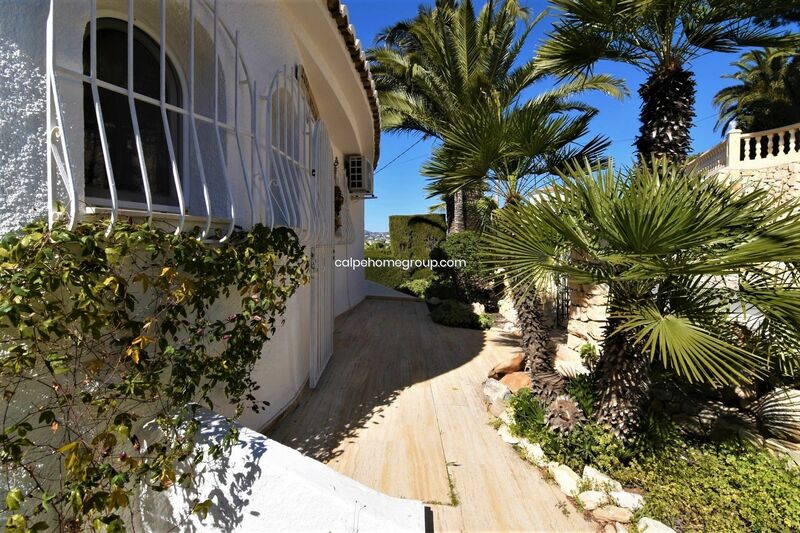 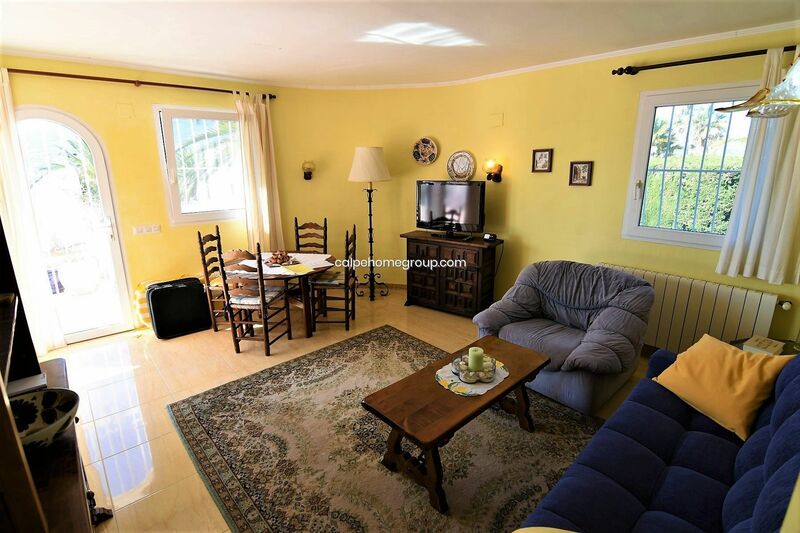 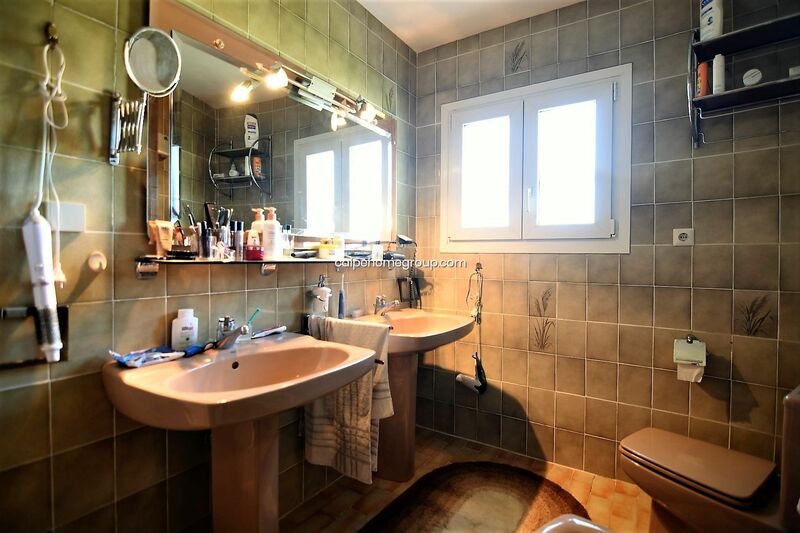 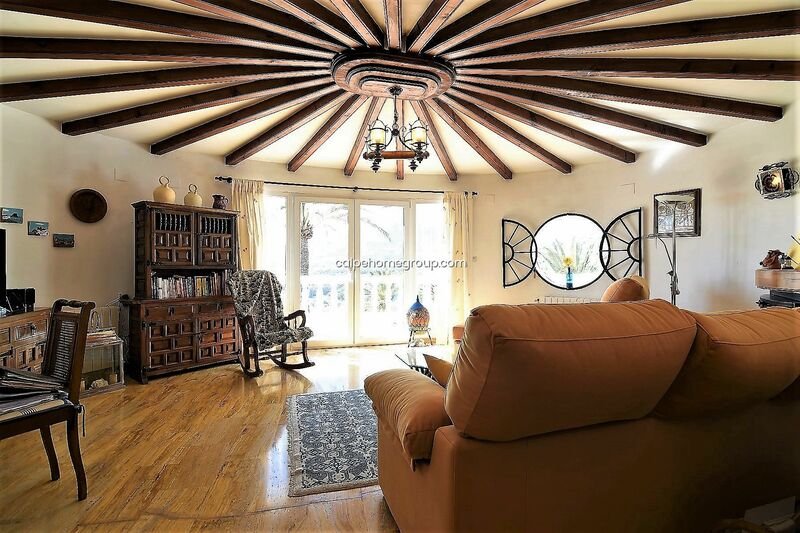 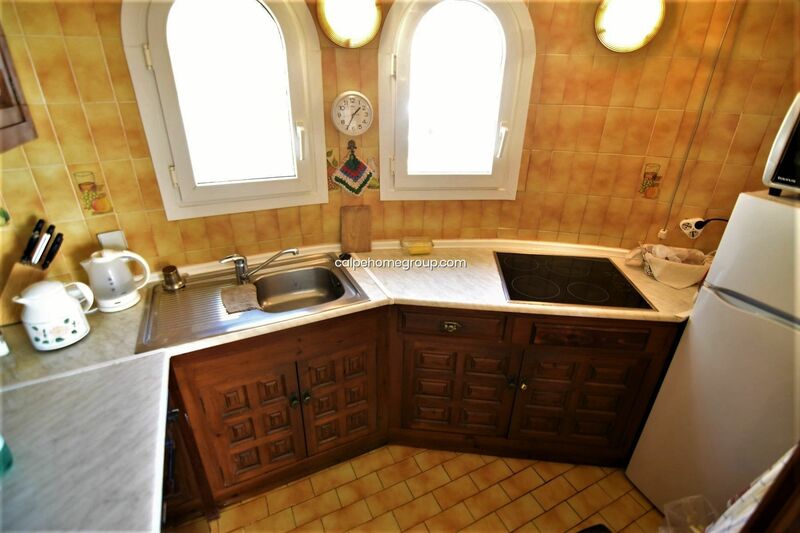 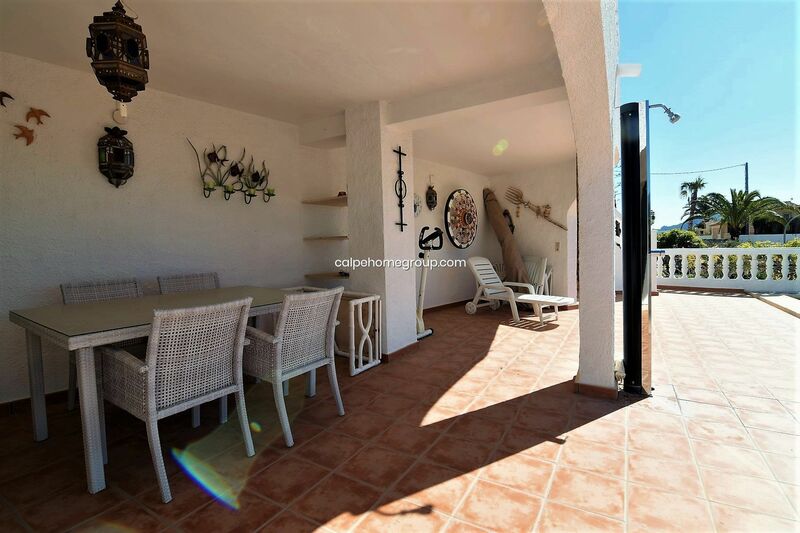 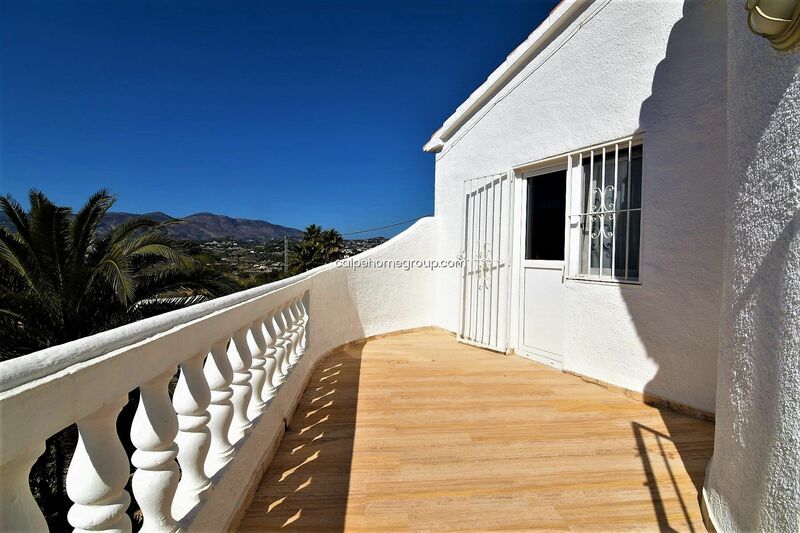 This 175 sqm villa, is built on 2 separate levels, on a 980 sqm plot, South facing, just 3 km distance to the beach, 600 m distance to restaurants, 2 km distance to supermarkets and 2,8 km de Calpe, with all amenities. 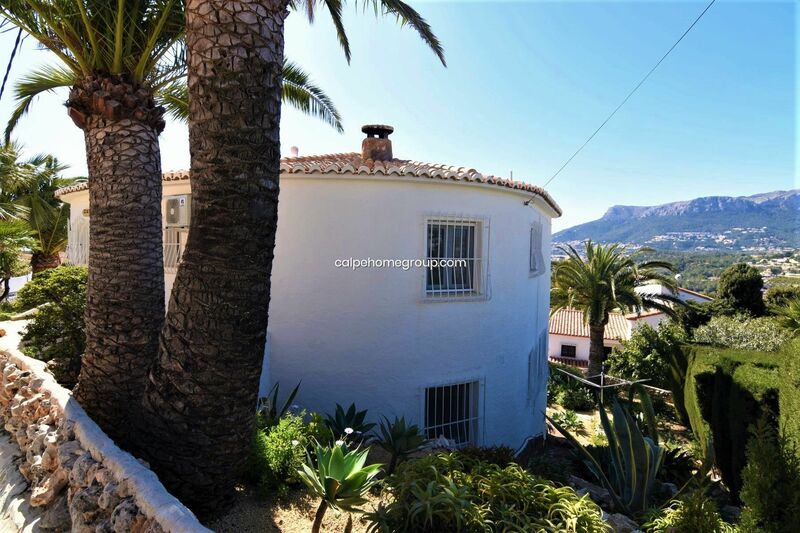 The plot is comprised of a private 8x4 sqm pool, a beautiful garden, a covered terrace with sea and mountain views, an open terrace with sea and mountain views as well, secured parking for 4 cars, a single garage and a double garage. 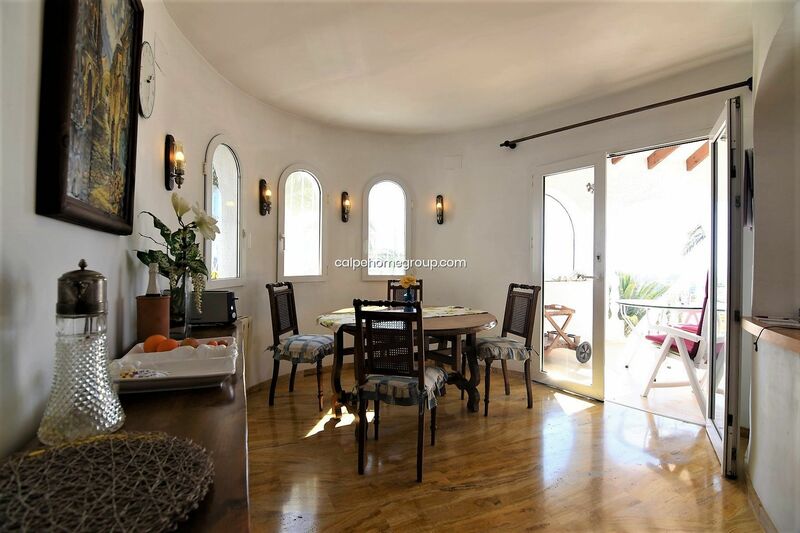 Is comprised of an entrance- hall, a living room, a dining room, a separate kitchen, a double bedroom, a single bedroom, a glazed terrace, with panoramic views toward the sea and the Ifach Rock, an open terrace, with panoramic views as well, a guest toilet and an en suite bathroom. 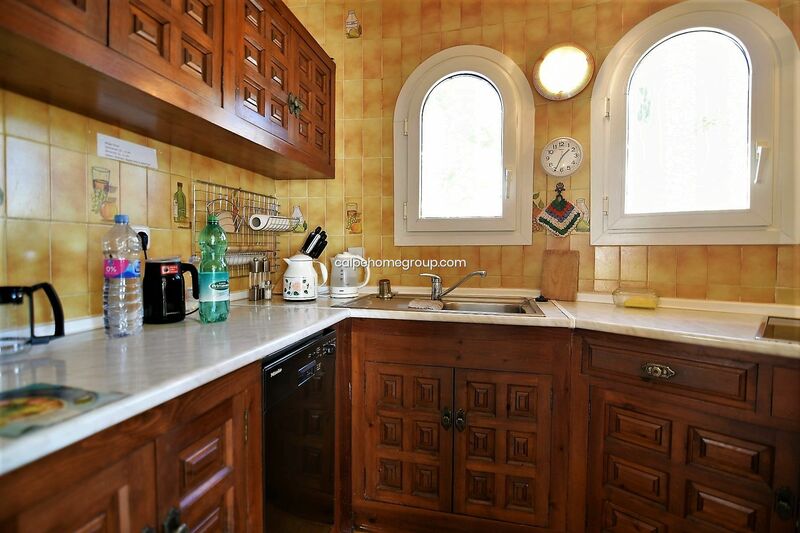 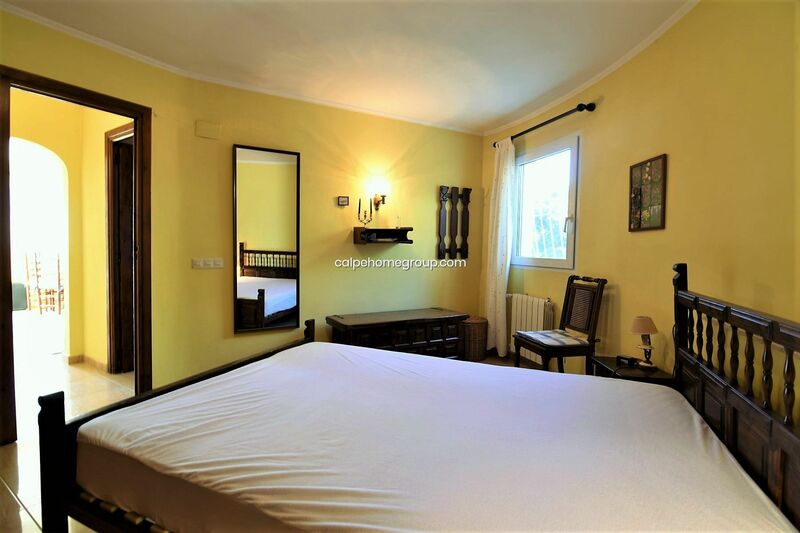 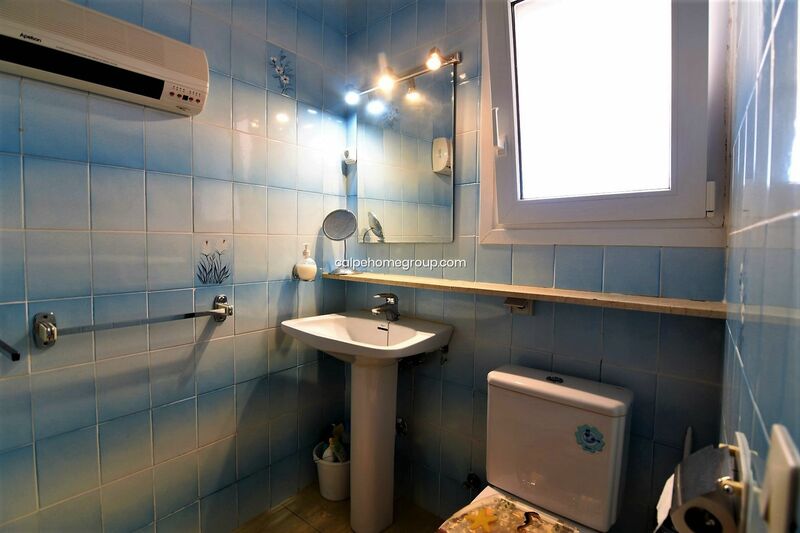 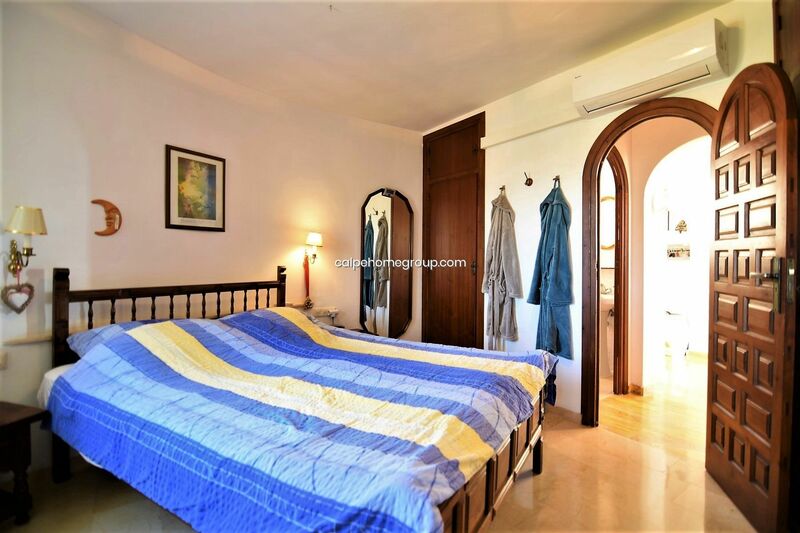 Is comprised of a living- dining room, a separate kitchen, a double bedroom and a family bathroom.